As a small or medium sized Australian business you know the importance of online marketing. Australian online commerce was worth over $37 billion at the end of last year and is constantly growing. All this growth means intense competition across all industries as companies strive to get their websites ranking for the keywords that will bring in traffic and customers. 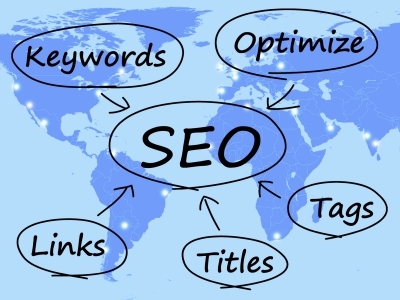 Your main weapon for gaining those vital rankings is search engine optimisation. It can be a confusing topic for the layman so here are four key facts you need to know about this vital component of your online strategy. In highly competitive markets, it can take a long time to reach that coveted first page of the Google search results (SERPs) for your target keywords. When starting a campaign you need to be prepared to wait months before your start ranking for desirable key phrases. However once that quality traffic starts flowing in, you’ll be glad you did. SEO is not a set and forget procedure. For one thing, if you stop providing your visitors with new content and offers, their interest will wane. Also the whole online commerce environment is in a state of flux. Search engines are constantly adjust ling their algorithms (Google is said to make around 700 tweaks each year), new players are entering the market and existing competitors are honing their online strategies. All this means you need to keep a close eye on your rankings and what’s happening in the SEO sphere. It’s useful to think of website design and online marketing as one holistic undertaking. The design of your site influences customers and usability affects various metrics such as time on page and bounce rate which in turn influence SEO. Ultimately creating the kind of quality user experience demands a skilful blend of quality design, site architecture and SEO. In the past, it consisted mainly of posting some content and building links. Now both users and search engines have got smarter and more discerning. Post mediocre content and your visitors will click away in a flash. Build spammy backlinks and they’ll never find you in the first place. Modern SEO involves providing visitors with a quality experience as much as tweaking the sites to get rankings. You also need to pay attention to social factors that are driving online marketing. As you can see, this is a complex undertaking and one that must be built on a solid foundation. Only by getting your optimisation done properly from the beginning can you be sure of a sound future in online marketing.